Fall is the perfect time to plant broccoli, Brussels sprouts, cabbage, carrots, cauliflower, coriander, dill, greens, radish. sugar snaps, and many other crops on the farm and in the home garden. Now for some tips on how to prepare the soil and plant these cool season crops. The proper natural bed preparation is done by adding the following to existing native soil - compost, lava sand, greensand, cornmeal and organic fertilizer. Type and Use: Biennial, grown as an annual with edible sprouts. Planting Dates: For the fall garden plant seed 8-10 weeks before first average frost. Cool-season vegetable. Plant late winter for spring crop and late summer 8 to 10 weeks before the first frost for a fall crop. Best as a fall crop. Mark your calendar for February 10 - March 15 and August 1 - August 31. Planting Method: Set transplants after the first set of true leaves appears. Plant seeds ¼ inch in the soil. Harvest Time: Harvest in 90-110 days from seed, 65-75 days from transplant. Growth Habits: Supports are sometimes needed when the plants get 10-14 inches tall. Culture: Plant Brussels Sprouts so they can mature during cool temperatures, usually 55-65° or cooler. Cover the plants with shade cloth when first planted in the summer. Keep the soil moist as the sprouts begin to form or they will be small and deformed. Remove the lower leaves only if they yellow or wither. Sidedress Brussels sprouts after harvesting the first small marble-sized sprouts. Use about a half a handful around each plant. 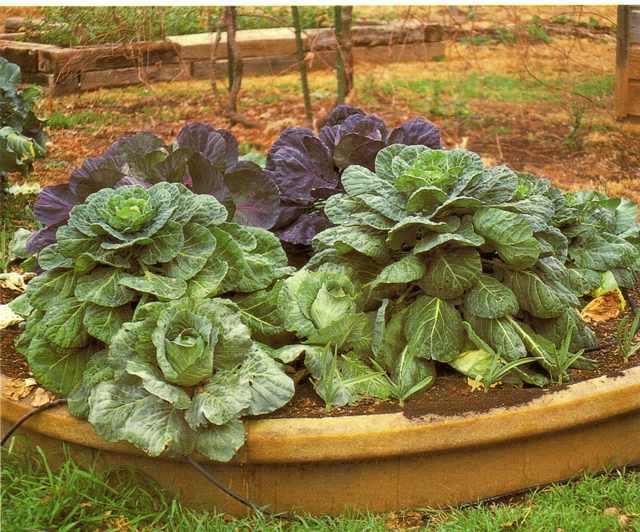 Troubles and Solutions: Aphids, black rot, cabbage loopers, and imported cabbage worms. Spray molasses and seaweed and release ladybugs for the aphids. Treat the soil with cornmeal at 20 pounds/1,000 square feet for disease problems. Sprouts may not form if the weather is too hot. Harvest and Storage: Harvest approximately 90-100 days after transplanting. Plant sprouts form near-ground level and produce in about two months. 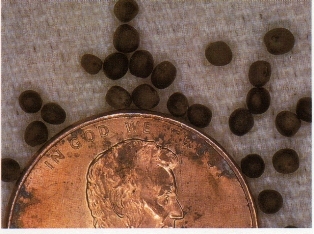 Sprouts are mature and ready for harvest when 1-2 inches in diameter. Pull down with a twisting motion to harvest. Store mature sprouts in cool, dry place and eat soon after harvest. Notes: Grows best during long periods of cool weather.